For all returning participants, the EHR reporting period is a minimum of any continuous 90 days between January 1 and December 31, 2019 for Meaningful Use measures. Medicaid EPs who are returning participants must report on a one year electronic Clinical Quality Measure reporting period, and first-time meaningful users must report on a 90-day electronic Clinical Quality Measure reporting period. EPs are required to report on any six eCQMs related to their scope of practice. In addition, Medicaid EPs are required to report on at least one outcome measure. If no outcome measures are relevant to that EP, they must report on at least one high-priority measure. If there are no outcome or high priority measures relevant to an EP’s scope of practice, they must report on any six relevant measures. Good News: The list of available eCQMs for EPs in 2019 is aligned with the list of eCQMs available for Eligible Clinicians under MIPS in 2019. Those eCQMs can be found here. Electronic Clinical Quality Measures are expected to be reported by using a QRDAIII file for 2019. 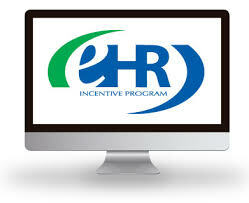 All providers must attest to Stage 3 objectives and measures using 2015 EHR technology certified. Have more questions? We are here to help! Contact the Kentucky REC today or call us at 859-323-3090 to learn more about the support we provide.